My East End culinary walking tour more than lived up to my expectations. 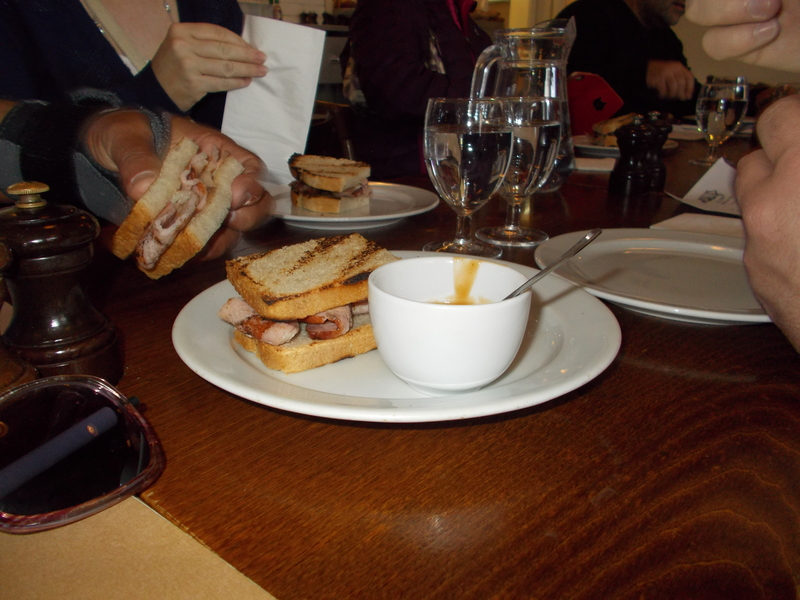 Eating London tour guide Emily, and trainee Mattie, brought more than food to the table. 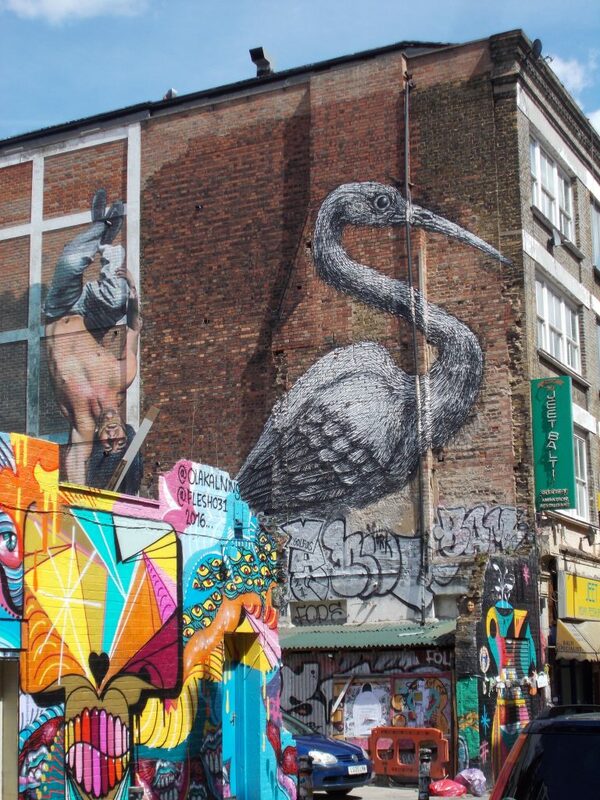 Both were knowledgeable about the history of the East End with its rich immigrant history. In the Victorian era this was the poorest part of London, sitting on the other side of the London wall and not even appearing on London maps. Over the years the area became the home to immigrants from first France, then Ireland, then Bangladesh. 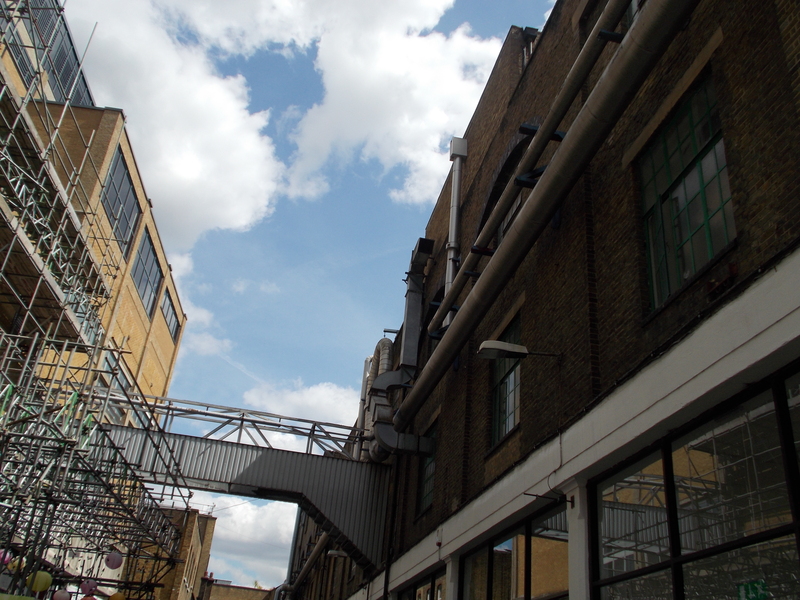 The area is going through another transition as a haven for artists, the Bangladesh settled on one side of the Truman Brewery Bridge on Brick Lane, and artists and hipsters on the other. Our culinary walking tour started at Spitalfields Market. 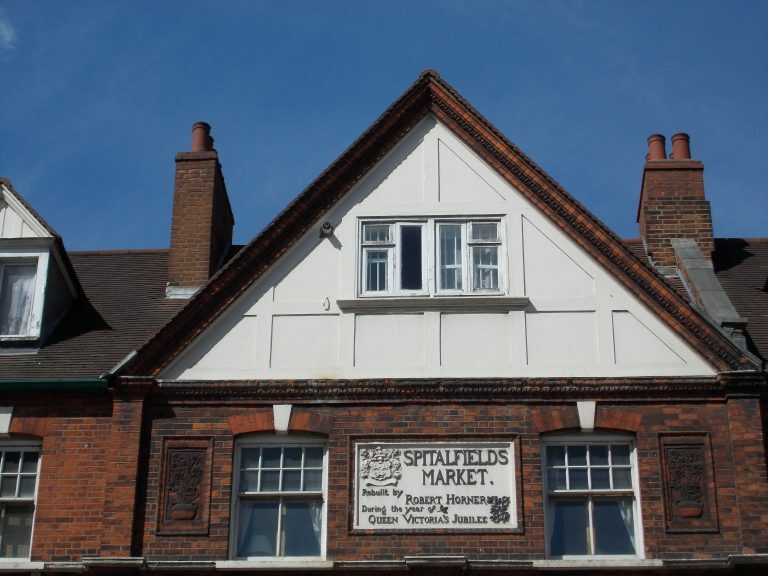 We headed towards St. John Bread and Wine while Emily filled us in on the history of Spitalfields starting with its use as a Roman burial ground 2000 years ago. Our first stop was St. John Bread and Wine, where Chef Fergus Henderson, is known for providing a nose-to-tail eating experience. No nose or tail for us, just a flavor packed bacon sandwich served on house-made bread with butter and their unique ketchup made with a touch of apple juice. 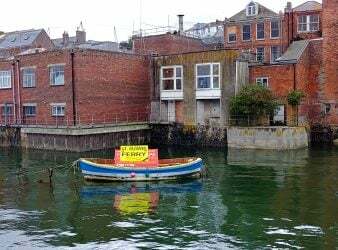 Next up was The English Restaurant, Percy Dalton’s peanut warehouse in another era. 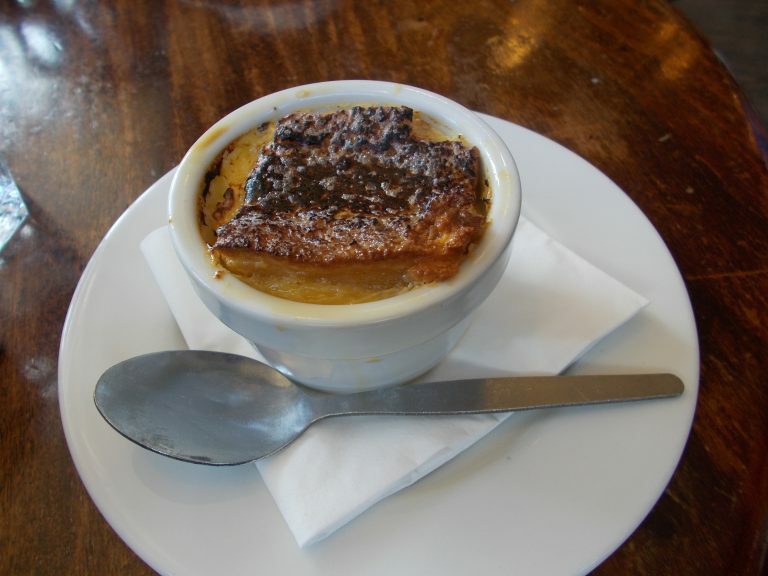 British classic bread and butter pudding made with local brioche, butter and custard and served with a vanilla custard was our mouth-watering treat at this stop. 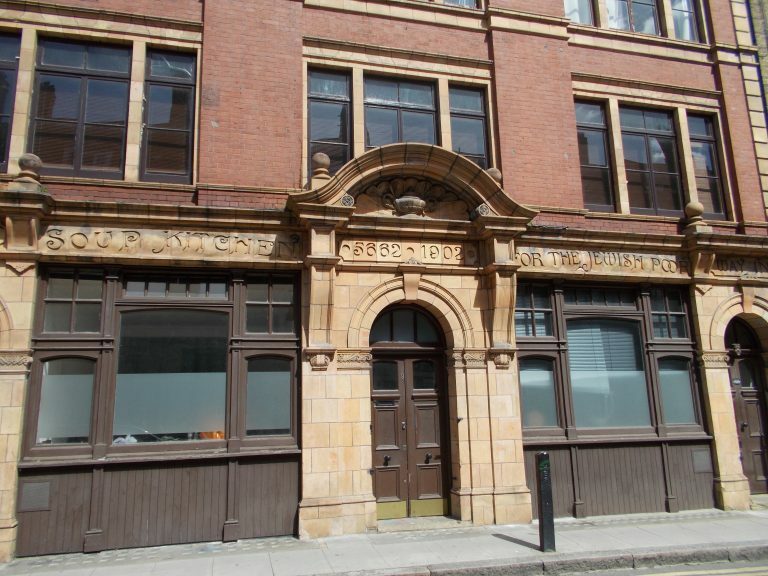 Our history lesson continued as we passed by the historic Soup Kitchen for the Jewish Poor on our way back to Spitalfields and The House of Androuet. Founded by master cheese mongers from France, Androuet sources local cheeses from England which they age in their basement at Spitalfields. 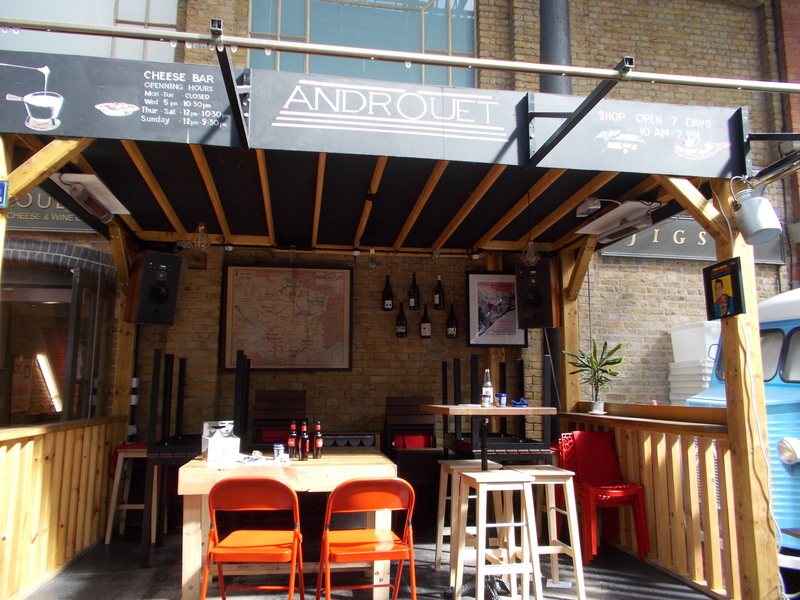 There is also a small patio area where you can taste some of their other offerings, such as wine and cured meats. 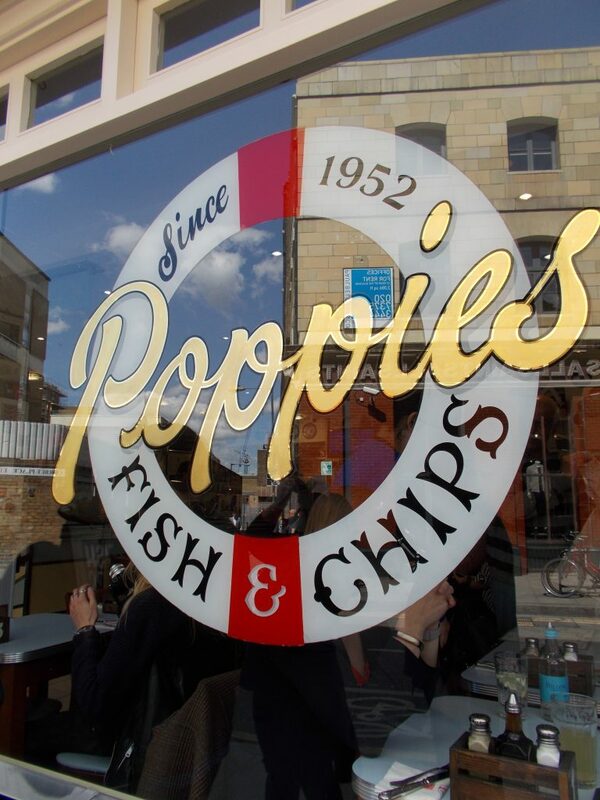 Poppies Fish and Chips won the 2014 National Fish and Chips Award, no small feat in a country where fish and chips is the most iconic of its foods. Wrapped in paper and served with malted vinegar and mashed peas, our generous tasting was more like an entire meal. 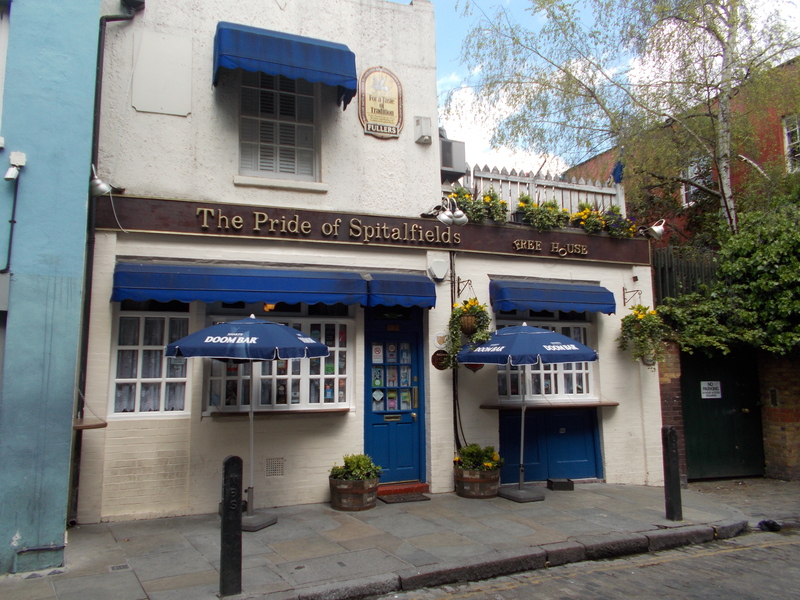 What better place to throw back an English beer and some cider than Pride of Spitalfields. 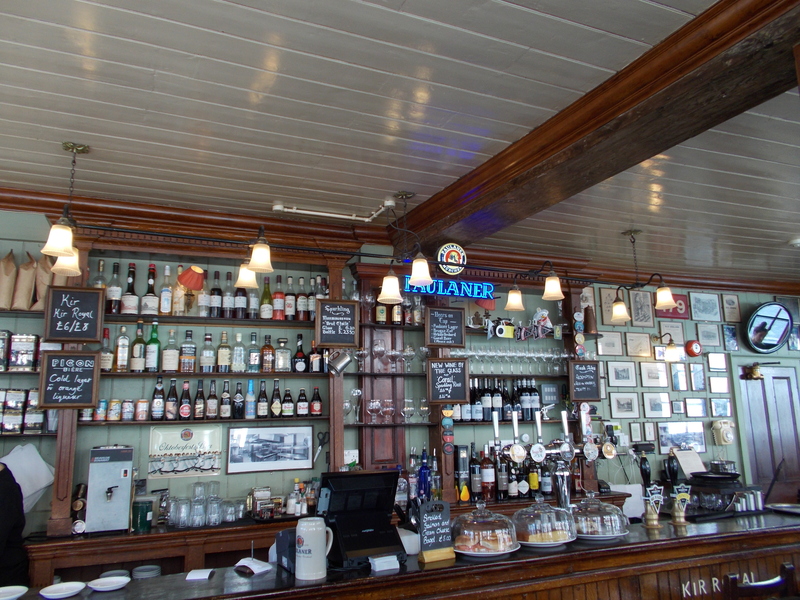 A local pub on a cobblestone street, it was easy to take myself back to a bygone era at this stop. Aladin, surrounded by the many curry restaurants of Brick Lane, provided us with samples of three different curries with various degrees of heat served with fresh baked Naan bread to help cool your palate. 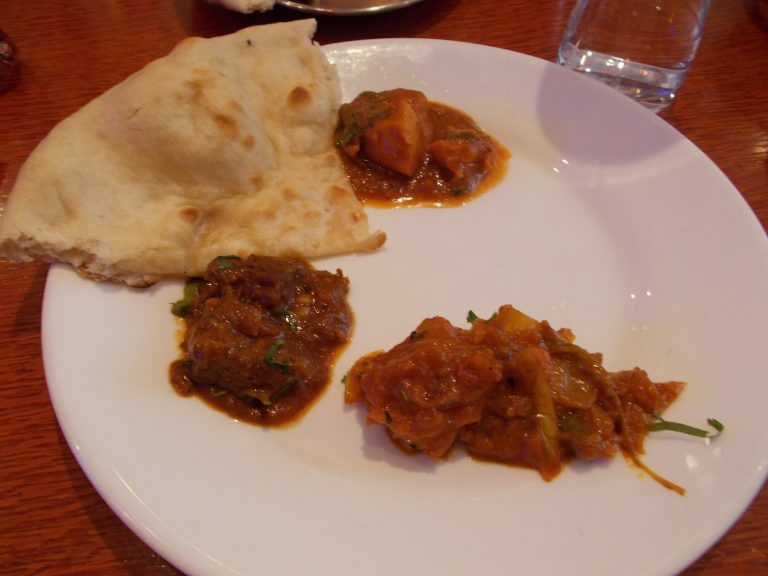 A lover of curry, I thoroughly enjoyed this stop. We did a lot of walking to help make room for more food and the Eating London tour guides did an artful job of guiding us along side streets, providing us with an ongoing history lesson and otherwise allowing time to digest our food between stops. 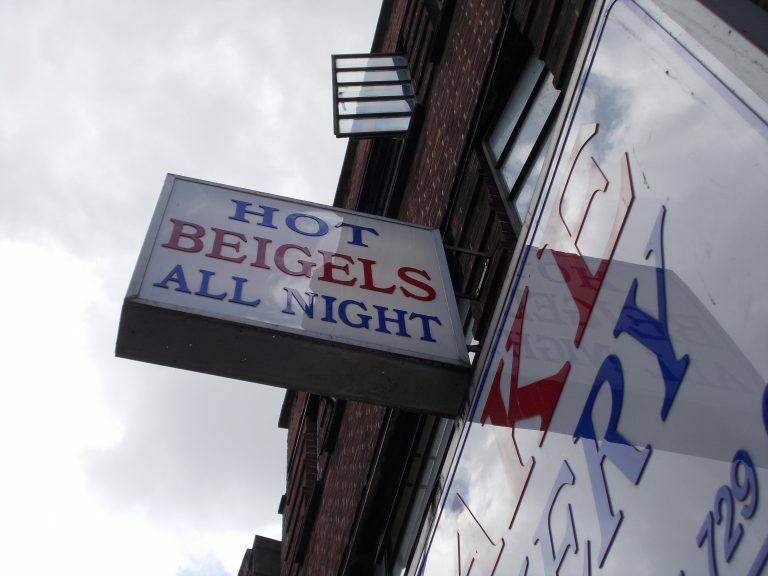 Established in 1974 Beigel Bake is one of the last East End Jewish bakeries still in operation. This was truly the best bagel sandwich I have ever eaten! 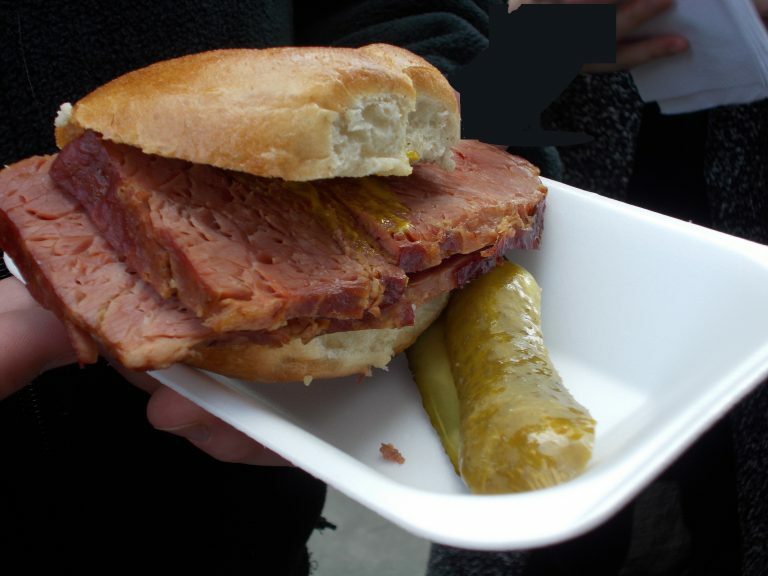 The soft, traditional bagel is piled with thickly sliced salt beef (close to American corned beef in flavor) and served with hot English mustard and a sweet gherkin on the side. Hot English mustard, very generously infused with sauerkraut, is eye-wateringly spicy. I find it way too hot to be enjoyable on anything and next time I am at Beigel Bake I will wipe off a little of the mustard before taking a bite. Hot mustard aside this salt beef bagel sandwich is exceptional. 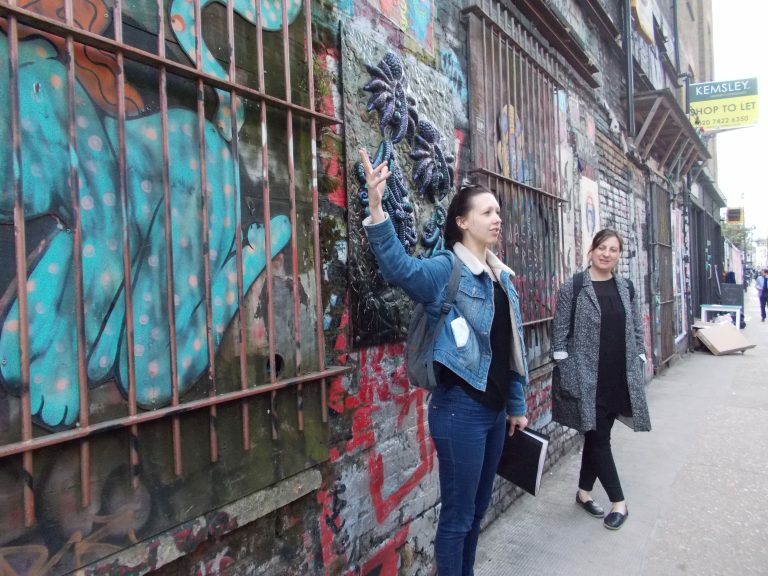 Filling us in on the background of the growing East End street art scene, with diversions from our route to view local artists work, was one of the most engaging aspects of our day. 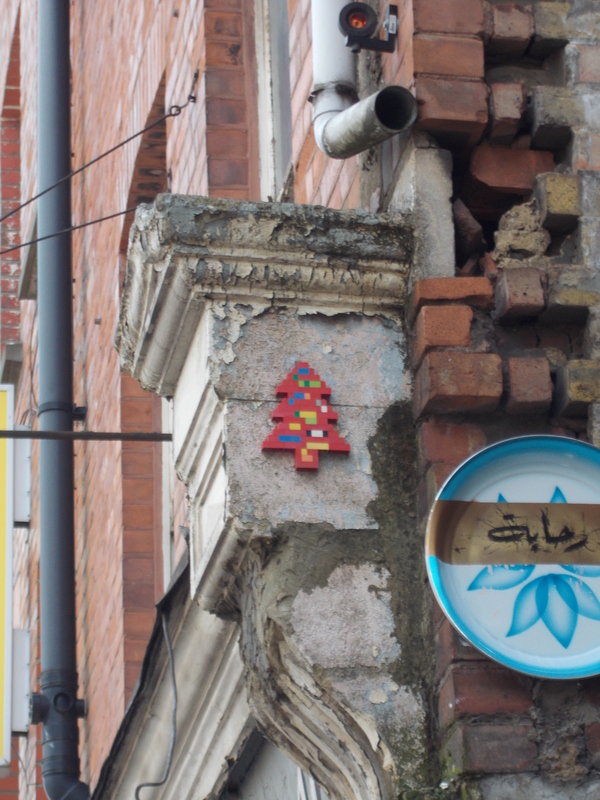 Street Art can be found all over London, but the East End is one of the best areas for viewing a variety of artists and unique styles. Here is a sampling of some of the art that we saw that day. Our final stop of the day was for dessert and tea at Pizza East. Yes, Pizza is the main menu item at Pizza East. 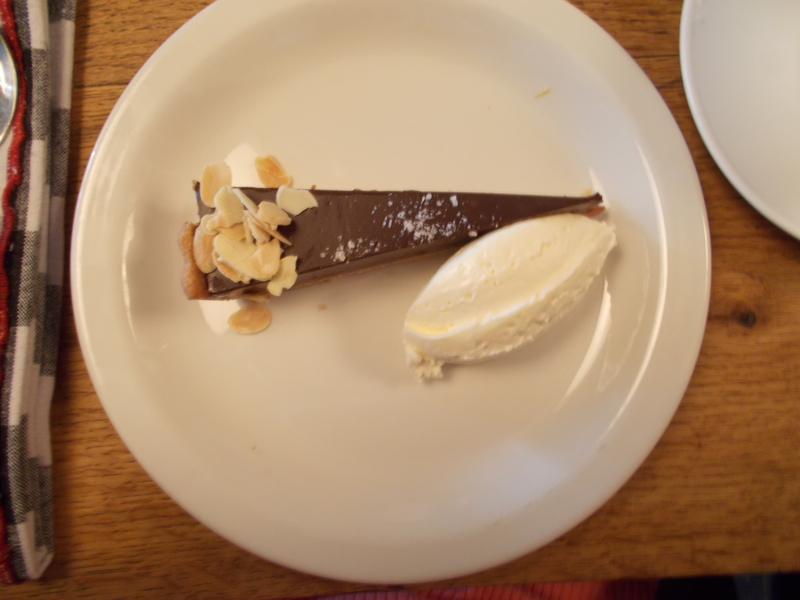 However, their salted caramel tart with vanilla gelato put them on my list as a place to stop for tea and dessert on future walks through the East End. With a sweet treat and afternoon tea my culinary walking tour was at an end. The tour lasts between three and a half and four hours and provides much more than a sampling of great food. Thank you to Eating Europe for hosting me on my East End culinary walking tour. I only post reviews on experiences that I can recommend with no hesitation. 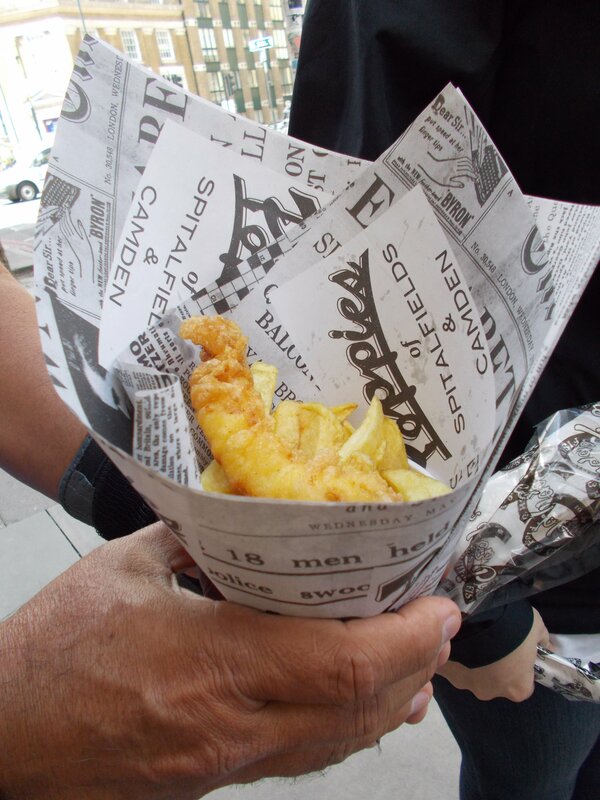 I so enjoyed this tour that I plan to book Eating London’s Twilight Soho Food Tour on my next London stay for an orientation to another iconic London neighborhood, some local history and plenty of delicious food. 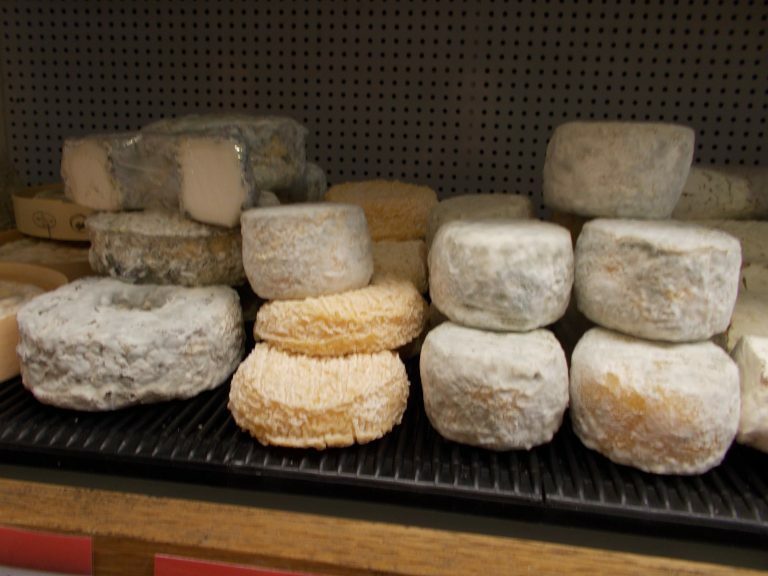 Eating Europe is offering a discount code for MilesGeek readers. 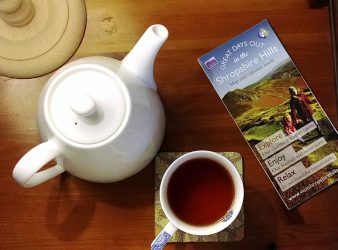 It can be used for 10% off of any of their tours through 2017, for new bookings only.